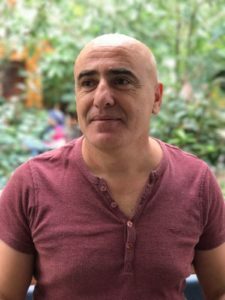 Ilhan Bakir was born in Bitlis in 1968. He studied literature and drama. He writes for theater and cinema. He has published short stories in various collections as well as a book of short stories and theater script. He is the author of a manual about writing scripts: the book is in kurdish language and is ready to be printed. He also writes about cinema and culture for various papers and magazines. Bakir is the director of the Cegerxwîn Cultural Center in Amed (Diyarbakir) and it is here, in the center’s confortable building that we meet him. When was the Cegerxwîn Cultural Center founded? What was its purpose? The name was officially Cegerxwîn Cultural Center, but informally it was known as the Cegerxwîn Academy of Arts. As anybody familiar with Kurds and their relationship with the State would know, in Kurdish life there are official names, and then there are unofficial names that are legitimised by the people who give and use those names. This practice is most frequently seen in people’s first names, Kurds can’t use the names the State deems inappropriate and separatist in official, state-issued IDs. Thus they use the official name for official business, and their own legitimate first name in every other area of their life. The name their mothers has given them. The Cegerxwîn Academy of Arts has experienced the same fate. The state refused to call the place the Kurds use to teach arts in their own language an “academy”. In official documents, the place is called a “cultural center”, but people who study and teach arts there call it an “academy of arts”. The “Cegerxwîn Academy of Arts” was founded in 2010 to promote and develop Kurdish culture and art, and to teach arts to the Kurdish youth in their own language and within the context of their own artistic tradition. Its core purpose was to prevent the “white” genocide and the culture-cide waged against Kurds. First of all education and general activities are thought in the Kurdish language, while the second issue is to have artistic education and artistic production based on the Kurds’ artistic traditions and local values that have taken shape over centuries. Indeed, the destruction the Kurds experienced when it came to their artistic education and production wasn’t limited to just language. Colonial policies have also maimed the Kurdish mindset, and have alienated Kurds from their own artistic and cultural values. Kurds have been subjected to a sort of “mind erosion” aiming at denigrating their own tradition of cultural production and rooting itself on the aesthetic forced upon them by the colonial center. Naming this institution an academy is therefore a way to develop a scientific, intellectual and aesthetic response to this mental rupture and to have it serve as a creation center to suggest what this mental rupture can be replaced with. What artistic and cultural disciplines prevail in the Cultural Center? Has the work done there reached the desired level? If not, why? The Cegerxwîn Academy of Arts has two yearlong programs in six disciplines: Music, cinema, painting, literature, folk dancing and theatre. There are also short term, amateur-level courses in these same disciplines. At first the emphasis was put on these short courses, but in time the longer, more academic-level programs gained traction. Of course the efforts have not reached the desired or planned level. I say, “of course,” because two important factors have led to this “of course” situation: the constant damage and inhibition of any single artistic and cultural activities for Kurds which have been going for years. First is the overt and covert ban and pressure by the State on Kurdish culture and arts. In a situation where the institution can’t officially be called an academy nor can it declares Kurdish the language of education, it’s not difficult to imagine the oppression people feel under when this policy is de facto implemented. Imagine, even the official name given by the Municipality, i.e. “Cegerxwîn Cultural Center” is not actually official due to the letters X and W in it. The relationship of the State with the Kurdish language, culture and art hasn’t yet gone beyond “an unknown language” and “forbidden letters”. Again, many Kurdish artists and academics have stayed clear of the academy for fear of State retaliation, and that has meant the academic and artistic education and production have been quite weak. Not having written and visual resources in Kurdish at the needed level and not being able to properly fund these efforts have prevented this academy from improving sufficiently in achieving the desired and planned goals. But the second and true reason these goals could not be met is the damage done by colonialism to Kurdish artistic circles, academics and intelligentsia. Frantz Fanon wrote that colonialism doesn’t just operate at economic or political level, the coloniser also work on the erosion of the psychology of the colonised, alienating them from their own language, culture and way of life and making them voluntarily serve colonialist policies. The common characteristic of colonised people is to consider themselves somehow lower, lesser than the colonising culture in spirit and thought. The colonised worries about getting approval by the coloniser and long to be and live like the coloniser. The colonised artist and intellectual also suffer from this characteristic of the colonised people. Even more so than the average individual. They consider themselves lower than the colonising culture, constantly comparing their level of development, taste and product with the colonising culture and measuring against the colonising culture is the most prominent characteristic of the colonised artist. Receiving praise and approval from the colonising culture’s artistic authorities is the fundamental motivation of the colonised artist to produce and act. The fundamental criteria for achieving that approval and praise is how much the artistic product is alienated from one own culture and how much it resembles the colonising culture. Thus, the Cegerxwîn Academy of Arts has fallen quite short of its goals because it has failed to sufficiently point the finger at the damage done by the colonising culture to consciousness and for this reason the struggle against it is now unpostponable, it is a duty that cannot be delayed. Of course that doesn’t mean to sat that nothing has been achieved. On the contrary: creating consciousness about language and artistic tradition, organising education in these artistic disciplines through the Kurdish language, reaching students who dedicate themselves to this education for two years, creating resources and educational material in the Kurdish language are not things to be taken lightly under these circumstances of oppression and lack of opportunities. How do you present and promote the artistic and cultural products of these effort in the cultural center? As the fundamental purpose of this academy was to create academic education and production, there hasn’t been much production in the artistic sense. The products of the Academy were presented mostly as end of year activities for the people of Amed in the main hall in the academy itself. The short films and documentaries our students have produced have also been screened in various festivals throughout Turkey and have received many awards including the Golden Orange [Antalya Film Festival]. The centre organises a yearly film festival: would it be organised this year as well? 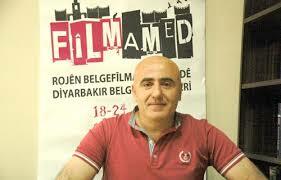 The Academy of Arts organises and promotes “Filmamed Documentary Film Festival” every year. But unfortunately it was unable to organise it this year. As you know, the trustees appointed to control and run the municipalities have confiscated all properties, goods and profits the Kurds have achieved in the areas of arts and culture through a great price and great efforts to date, all arts halls have been taken from us and the municipal budgets allocated to artistic and cultural activities have been slashed. But for next year, we are planning to organise the festival with our own means and support from directors. What can you say about the latest situation in the Cegerxwîn Cultural Center and its struggle to keep up the good work done so far? Today, the Cegerxwîn Cultural Center is working under control and direction of the trustee appointed by State. This means it has been emptied of its fundamental function of fostering Kurdish culture and arts. The hall has been turned into an institution that mostly engages in propaganda for the current governing party’s program and ideology and holds training sessions to this end. This version of the center has no connection left to Kurdish culture and arts, and it functions as a center planned to subject Kurdish youth to assimilation. 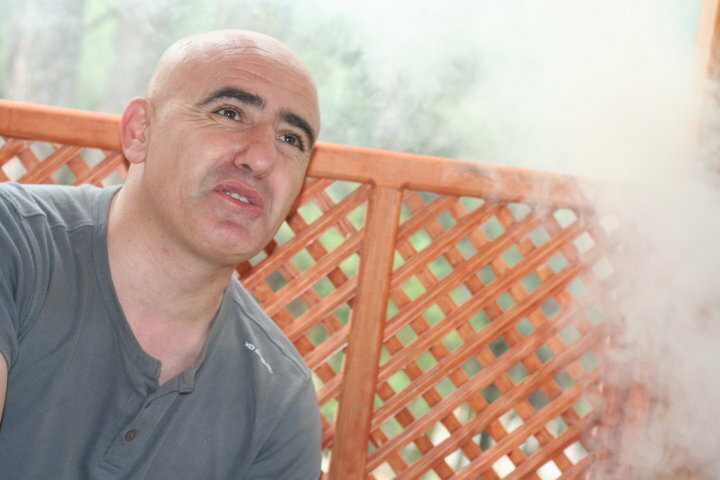 * Dilawer Zeraq is a Kurdish writer from Amed (Diyarbakir). You can read an interview with him in issue 2 of Global Rights Magazine and here.